other week and more new slots at BingoMania for you! Over the past few weeks, we’ve introduced several new games including the exciting Carnival of Venice slot and Forest Treasure game. This week, we have added another premium 3D machine to the new collection – Great Reef Slot – you’ll find that it resembles the sweet Sugar Rush Slot, with superb graphics. 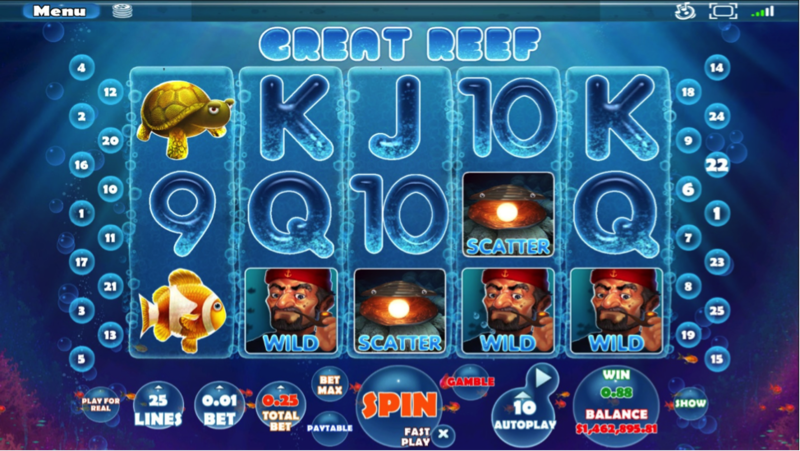 The Great Reef is a premium play video 5-reel slot with up to 25 lines of excitement. 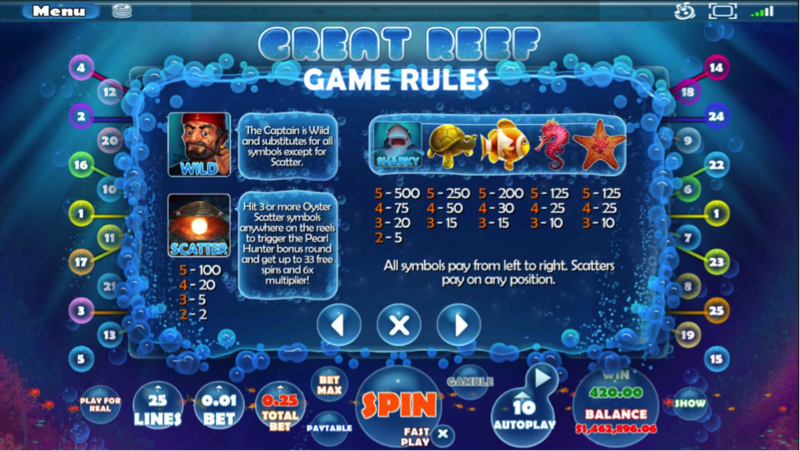 Dive deep into the blue ocean and hunt for treasures such as the pearl oysters with up to 33 free spins and the 6x multiplier in the Pearl Hunter Free Spins Round. 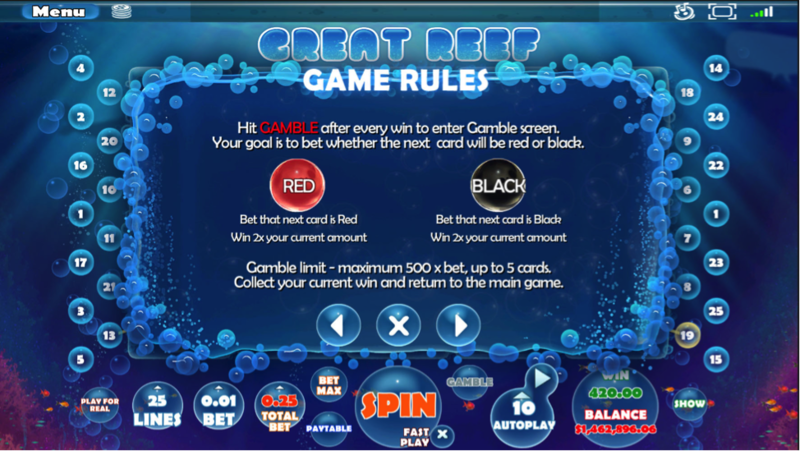 Tip – Hit “Gamble” after every win to enter the Gamble screen. Your goal is to bet whether the next card will be red or black. As always, we give you an opportunity to participate and win free spins towards the featured machine of the week.